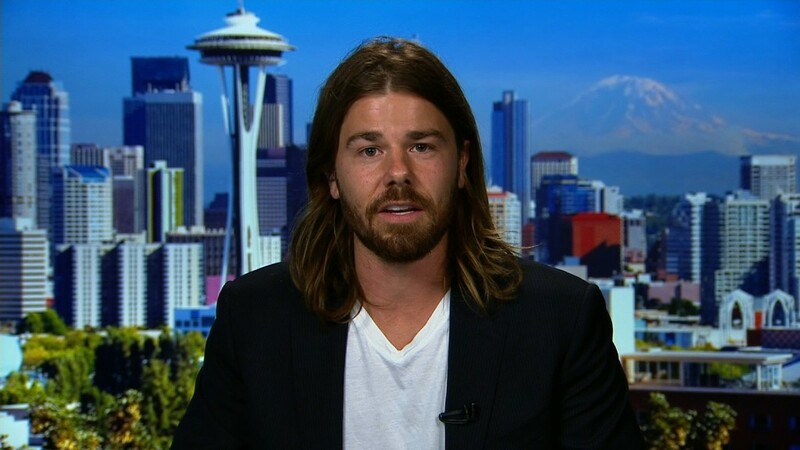 Dan Price became famous six months ago as the CEO who slashed his own salary to pay everyone in his company at least $70,000 a year. And his paycheck isn't the only sacrifice he's made. He's also mortgaged his house and sold all of his investments to come up with a $3 million nest egg he could put into Gravity Payments, his payment processing firm, to weather the storm stirred up by the raises. "I wanted a larger margin for error," he said in explaining the mortgage and asset sales. "Victory is far from secure, but the trends are positive." While his pay policy was praised by many, he's been attacked by others, and sued by his brother Lucas, a minority shareholder in Gravity Payments. The suit accuses Dan Price, who had a salary of $1 million a year before he cut his salary to $70,000 in April, of "excess compensation." "I have never, in the history of the company, given myself a pay raise without Lucas' consent," said Price. "I have, however, unilaterally cut my pay multiple times, including taking an 80% pay cut in 2008-09 to help save the company during the recession." Lucas Price's attorney did not return a request for comment on the suit and Lucas Price could not be reached for comment. The suit is set to go to trial in May unless the brothers settle. Dan Price estimates that legal bills will cost the company about $1 million if it goes that far. He says his brother and he are still "cordial" when they speak. "We haven't had any personal conversations," Dan Price said of Lucas. "I let him know I love and care for him and his wife and daughter. I'm going to do what I can to help him meet his financial goals." Price did lose a couple of veteran employees who quit citing concerns over the policy. But Price said that the company has added 15 workers to its staff of about 90, in line with previous growth plans. Revenue and the number of clients have continued to grow as well. Some new customers signed up because of the publicity, he said, and others have voiced support. However "I suspect we probably have lost some customers because of this." He also just signed a deal with Viking Press to write a book about his company and the across the board the raises. He said proceeds from the book will go to the company. "It's an account of what went right, what went wrong, what lessons can be learned, the surprise of the blowback" he said. Despite the unexpected downside to the pay raises, he said he has no regrets about what he did. "It continues to make me happy every day," he said.